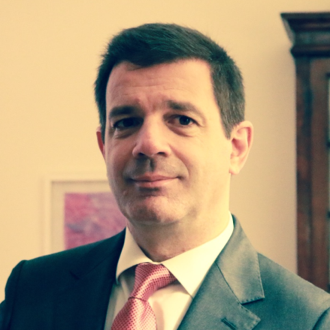 Duarte Henriques is a lawyer and arbitrator based in Lisbon – Portugal, and partner at BCH Lawyers. Since 1990, he has acted as both counsel and arbitrator in a number of litigation and arbitration cases related to tech companies and tech disputes, investment disputes, banking & finance, corporate, commercial, distribution and construction disputes. He serves as sole arbitrator, chair or member of tribunals in domestic and international arbitration proceedings, and as counsel in domestic and international arbitration proceedings, both institutional and ad hoc. Duarte Henriques also provides services in domestic and international litigation, and regularly works with other international law firms in dispute resolution. As partner of BCH, Duarte Henriques advises major banking and finance institutions, insurance companies, and technology / software solution providers in litigation and arbitration disputes. In the tech-sector, he advises companies and deals with disputes related to a number of technologies and companies (Microsoft, Oracle, Autodesk, Accenture, Delloite, Conceptwave, Microstrategy, Eli Lilly, Cisco, Vignette, Portuguese Postal Services – “CTT”, Novabase, Portugal Telecom IT, Link Consulting, INESC, to name a few). Duarte Henriques specializes in Banking and Finance Law, Business & Commercial Law, Mergers and Acquisitions, Agency and Distribution, Intellectual Property, and Third Party Funding. He is affiliated and listed with the CIETAC (China International Economic and Trade Arbitration Commission), Hong Kong International Arbitration Centre (Panel of Arbitrators and IP Panel), International Chamber of Commerce, London Court of International Arbitration, Singapore International Arbitration Centre (reserve panel), and the World Intellectual Property Organization (WIPO/Geneva). Duarte Henriques is a member of several international associations, including LCIA, IBA, ICC, and ICCA. Duarte Henriques is a member of the ICC Task Force on Financial Institutions and International Arbitration and of the Task Force on Third-Party Funding in International Arbitration of the International Council for Commercial Arbitration (ICCA) & Queen Mary University of London Law School – London. Duarte Henriques authors several works regarding arbitration and international arbitration.